This entry was posted in Faith, Poetry, Verse of the Day and tagged 1 Peter 1:3-4, Bible Verse, Christ, Faith, Freedom, God, Grace, Hope, Inspiration, Jesus, Love, Mercy, Peace, Poetry, Praise, Pray, Prayer on February 10, 2019 by waynemali. This entry was posted in Faith, Poetry, Verse of the Day and tagged 1 Peter 1:3-4, Bible Verse, Christ, Faith, Freedom, God, Grace, Hope, Inspiration, Jesus, Love, Mercy, Peace, Poetry, Praise on May 6, 2016 by waynemali. This entry was posted in Faith, Poetry, Verse of the Day and tagged 1 Peter 1:3-4, Bible Verse, Christ, Faith, Freedom, God, Grace, Hope, Inspiration, Jesus, Love, Mercy, Poetry, Praise on July 18, 2015 by waynemali. 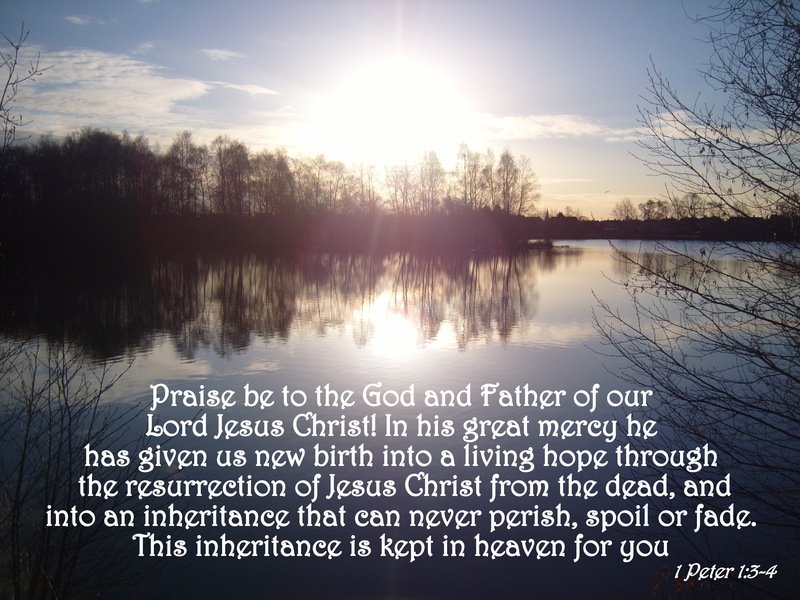 Praise indeed to God, the Father, for His great mercy. Let the angels sing, Holy is our King! This entry was posted in Faith, Verse of the Day and tagged 1 Peter 1:3-4, Bible Verse, Bryan & Katie Torwalt, Celebration, Christ, Faith, Freedom, God, Inspiration, It Was Finished, Jesus, Praise, Resurrection on April 20, 2014 by waynemali.